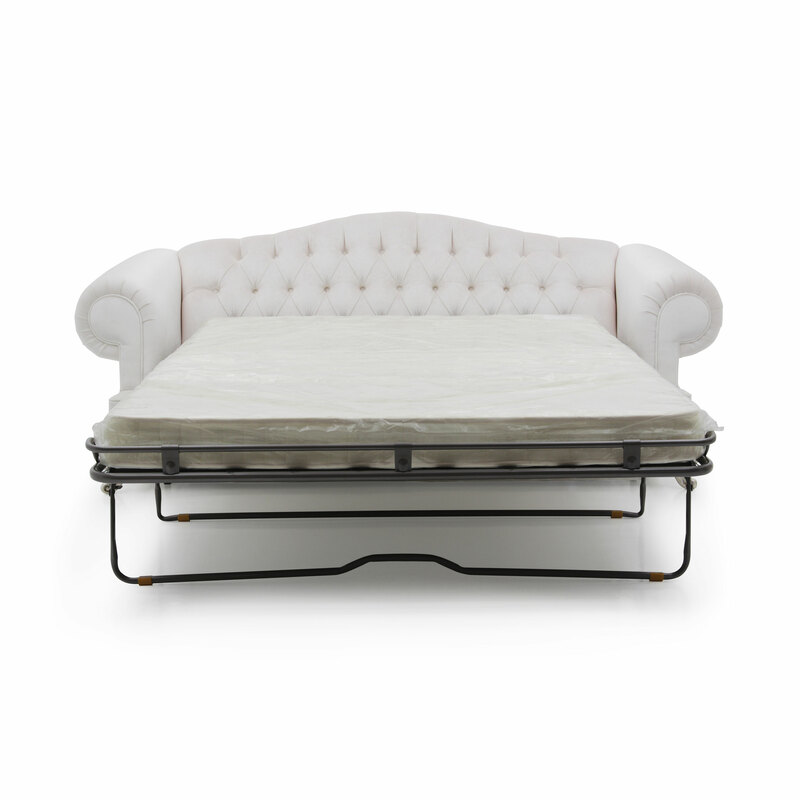 Classic style sofa bed with particularly elegant lines and beech wood structure. 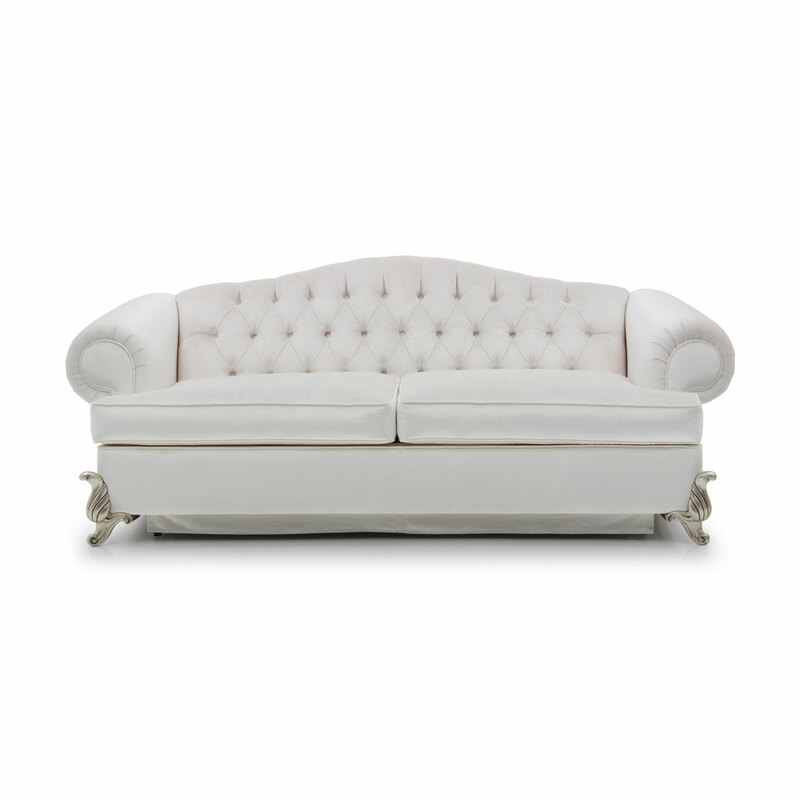 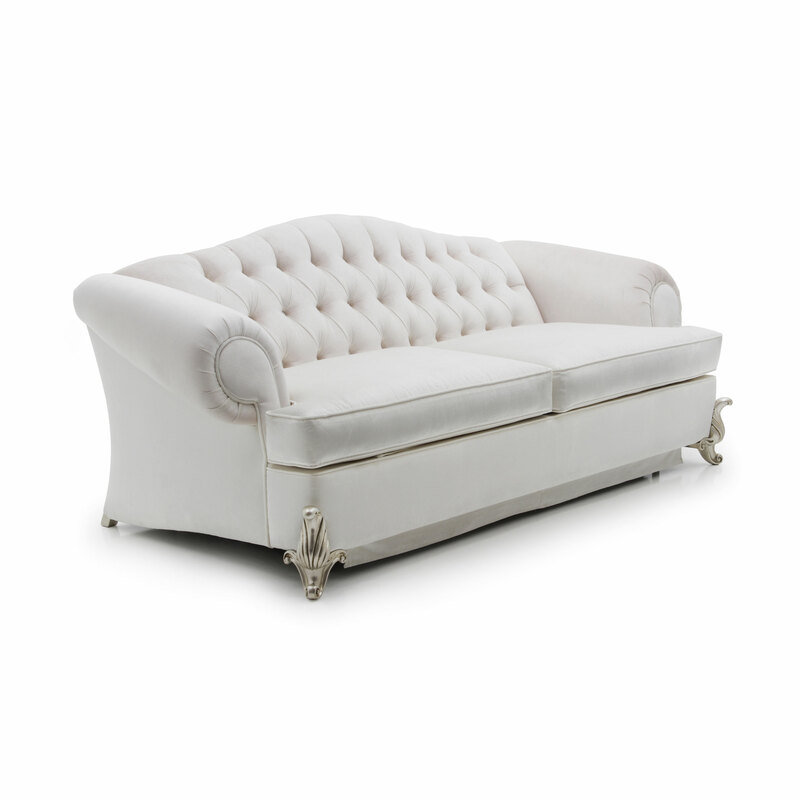 Upholstered with webbing and superior quality foam. 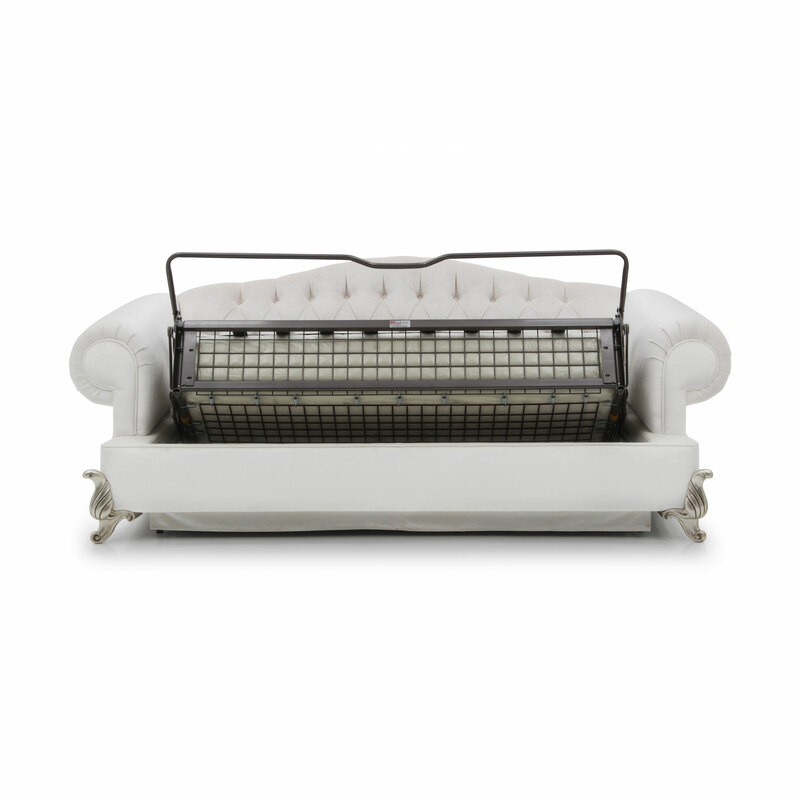 This item features a mechanism to easily transform it into a comfortable bed. 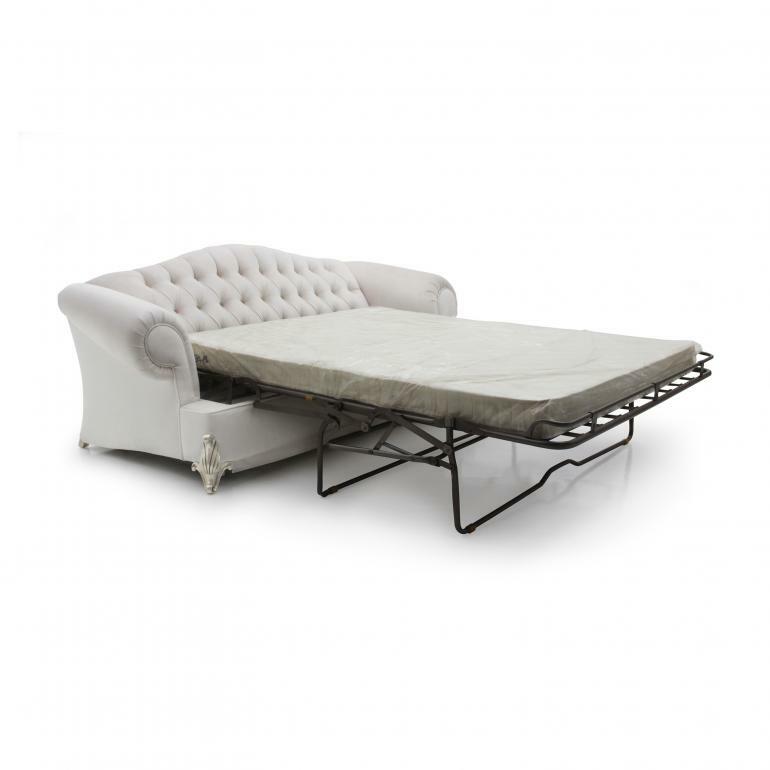 The wooden slatted bed base is contained inside the sofa structure and a mattress is also included.